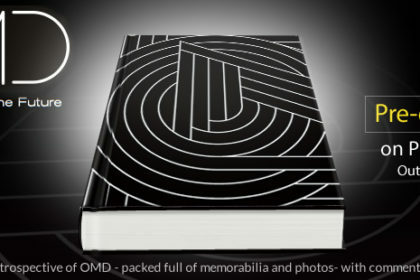 As a popular musical outfit, it’s of little surprise that OMD should be a band that has enjoyed a presence on countless compilation albums over the years. This release is significant for featuring The Id, the pre-OMD outfit that included Andy McCluskey, Paul Humphreys and Malcolm Holmes. The band had recorded three songs at a session in Liverpool’s Open Eye studio in 1978: ‘Electricity’, ‘The Misunderstanding’ and ‘Julia’s Song’ all of which would later become OMD classics. 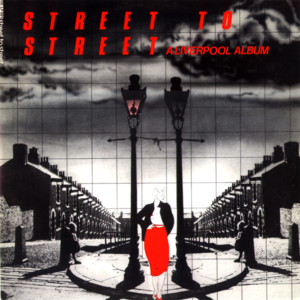 Meanwhile, Open Eye were putting together a compilation album titled Street To Street which would showcase many of the bands that were emerging from the vibrant Liverpool music scene of the time. This included the likes of Echo & The Bunnymen, Tontrix (notable for featuring future OMD collaborator Hari Haralambous) and Modern Eon (a future label mate to OMD on DinDisc). 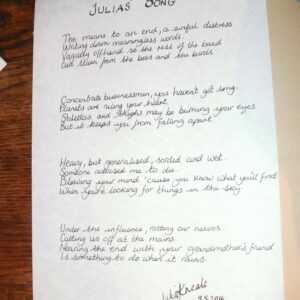 Street To Street included the Id version of ‘Julia’s Song’, which marked the only recorded release by the band at the time (the complete Open Eye sessions would later emerge on the eponymous 2002 CD release). 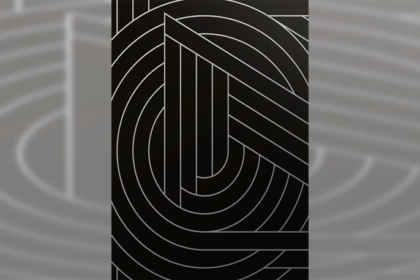 However, by the time of the release of the record in the summer of 1979, The Id had already folded and OMD had started on their path to synthpop glory. In a bid to promote their roster, the fledgling DinDisc label issued a special compilation album designed to showcase the talents that Carol Wilson had gathered to her label. 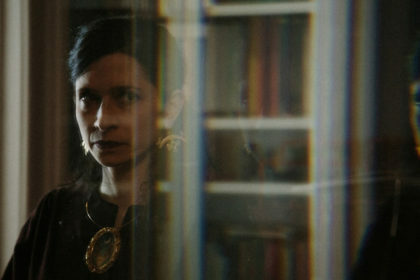 Amongst the bands assembled for this release were Martha And The Muffins, The Monochrome Set and Scottish post-Punk outfit The Revillos. 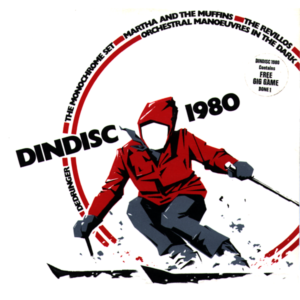 OMD were, naturally, also along for the ride with three contributions to the album – a sign of the faith that DinDisc had in the band. But it’s the version of ‘Electricity’ that features on the DinDisc 1980 album that marks this release as significant. While OMD were busy recording the Organisation album, they had also decided to record a brand new version of ‘Electricity’. But rather than doing a take based on the original arrangement, the band decided to mix it up a bit by changing the middle-eight of the song, which remains as a unique version of their most classic song. 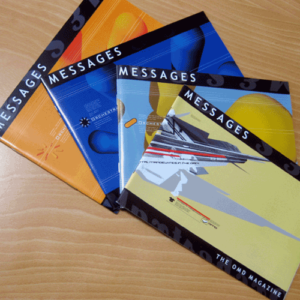 Also of note is that the version of ‘Messages’ featured here is the 10″ version – a trend that would continue across many compilations in the future. This historical video archive, featuring a broad range of punk, post-punk, rock and pop artists, has achieved its own iconic status over the years. 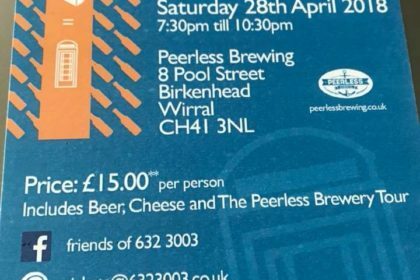 For a line-up, it’s tough to beat Urgh! 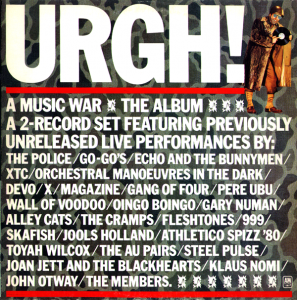 which features an impressive roster including The Police, Echo And The Bunnymen, Gary Numan, Pere Ubu, XTC and Devo. The performances had largely been captured at various live performances by the included bands throughout 1980. 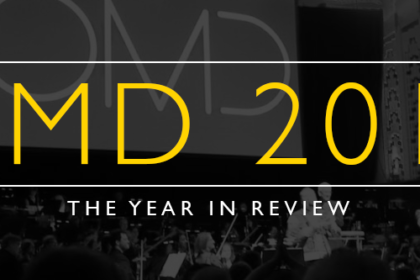 OMD’s contribution is a live recording of ‘Enola Gay’, which had been shot at a gig in Portsmouth in September 1980. The line-up featured Dave Hughes in the band and was just prior to the Organisation tour (when Martin Cooper rejoined the band). Although the video for Urgh! Had been released in 1982, a double album featuring the bands had actually been released a year earlier. Urgh! has been wrapped up in a variety of licensing issues which have dogged plans for a proper reissue. It’s also strongly rumoured that original producer Miles Copeland III has additional live footage of the included bands (apparently each band had at least three other songs filmed from the same gigs) which has yet to see the light of day. 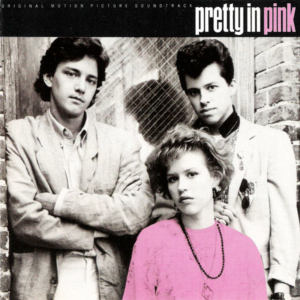 It’s difficult to put together a list of OMD compilations and sidestep Pretty In Pink – an album that has achieved its own classic status by its relation to the original John Hughes film, as well as managing to successfully combine an unusual selection of songs and artists. ‘If You Leave’ is, of course, the OMD song that managed to finally get the band noticed in America. Although they had enjoyed a cult status in the US for a number of years, the commercial success that had been afforded other contemporary bands had eluded OMD. Meanwhile, film director John Hughes was enjoying a rapid career rise through a catalogue of films that managed to combine drama, comedy and a good ear for song choices. OMD had already contributed ‘Tesla Girls’ to Hughes’ 1984 flick Weird Science (although the track never appeared on the soundtrack album) so the band were already on the director’s radar for Pretty In Pink. Originally, the band had penned ‘Goddess Of Love’ for the film soundtrack. However, the script for the film was altered after test audiences felt that the Molly Ringwald should end up with the ‘posh kid’ played by Andrew McCarthy, rather than Jon Cryer’s decidedly eclectic character. Forced to come up with a new song, OMD did a crash session in a Los Angeles studio where they wrote, recorded and mixed ‘If You Leave’ in 3 days. The rest, as the saying goes, was history. Factory Records had seen the debut of OMD as a recording artist with the 1979 release of ‘Electricity’ (which had also technically marked Factory’s first single release as well). So it would seem to be logical to include OMD’s brief tenure on Factory for any potential compilation surrounding the label. Although Factory had always enjoyed a legendary status, the Manchester record label entered the 1990s enduring many financial problems. Despite label founder Tony Wilson’s dislike of compilations, the idea of an extensive retrospective of the label titled Palatine was under discussion. 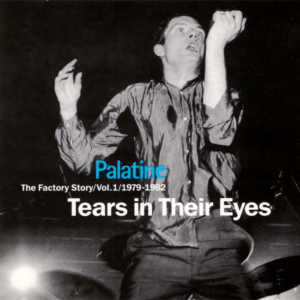 Prior to the release of Palatine, Factory had issued Martin – a compilation featuring the various production work of Factory producer Martin Hannett. It was Hannett who had worked with OMD on the original recordings of ‘Electricity’ and ‘Almost’, although only his version of ‘Almost’ appeared on the original FAC6 release. However, the version of ‘Almost’ that features on Martin is actually the original Paul Collister-produced version. This error was repeated for Palatine on the disc titled Tears In Their Eyes in which both ‘Electricity’ and ‘Almost’ were the Paul Collister versions rather than the Hannett versions that should have been included. If you’re thinking that third time’s the charm, the 1997 compilation album Different Colours, Different Shades also managed to include the incorrect version of ‘Electricity’. In fact, it wasn’t until 2009’s Factory Records – Communications 1978-92 that the correct Martin Hannett-produced version of ‘Electricity’ would be included. 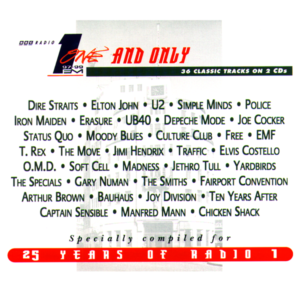 This compilation album celebrated 25 years of Radio 1 and featured tracks taken from various radio sessions over the years. At the time, OMD had been one of many bands that had recorded sessions for John Peel, but who had never had any of these recordings released in an official capacity. This made their contribution of ‘Enola Gay’ (originally recorded for the John Peel show and broadcast in April 1980) unusual and marked the first time that a track from the OMD Peel Sessions had been officially released. A series of EPs on the Strange Fruit label had included many band’s Peel sessions over the years, but OMD had never made the cut for inclusion. The result of this was a highly collectable bootleg tape market for pristine copies of the various sessions that the band had recorded. 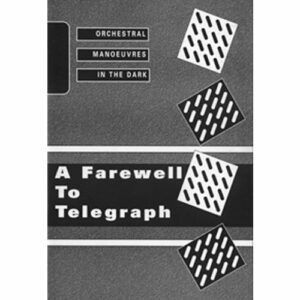 Naturally this problem was eventually resolved with the release of Orchestral Manoeuvres In The Dark Peel Sessions 1979-1983 album in 2000, but the inclusion of ‘Enola Gay’ on the One And Only compilation remains a unique moment for its place in time. 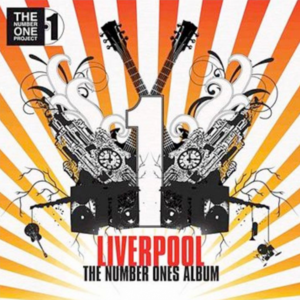 This CD was part of The Number One Project – a large charity event that was designed to mark Liverpool as European Capital of Culture for 2008 with a celebration of its 56 number one singles. 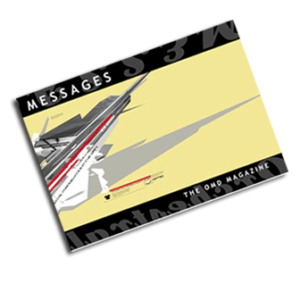 Alongside OMD, other contributors to this release included Ian McNabb, China Crisis, Shack and Thomas Lang. 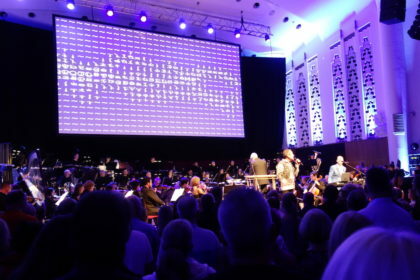 The album features cover versions of some of Liverpool’s 56 number one singles, which included OMD’s version of Atomic Kitten’s ‘Whole Again’ (which had reached No. 1 in the UK charts in 2001). 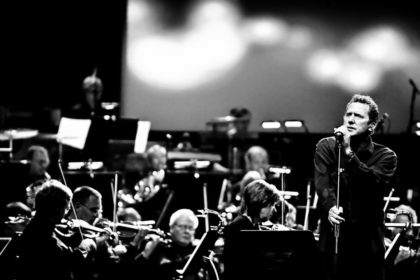 Andy McCluskey has never hidden his stance that Atomic Kitten had been formed largely out of a realization that although he had faith in his songs, perhaps the method of delivery was out of step – particularly at a time in which OMD’s public image was at an all-time low. Recording a cover of ‘Whole Again’ was a way to reinforce this idea with an arrangement that not only includes a McCluskey vocal, but also features some melodic touches that have been clearly lifted from ‘Messages’. Tags:Atomic Kitten Factory John Peel Martin Hannett Pretty In Pink The Id Tony Wilson Urgh!